This was the conclusion of the late neuroscientist and psychoanalyst John C Lilly more than a half a century ago. In a small summary report written for the National Institute of Mental Health entitled Programming and Metaprogramming in the Human Biocomputer (1966-1967), Lilly offered insight into a five-year-long research project measuring the effects of LSD25, sensory deprivation, and psychoanalysis. According to Lilly, given proper stimulation and coaching, behavioral and cognitive patterns in the mind, specifically a person’s conceptual limitations—or programs—are entirely mutable. Doctor Lilly’s scientific career is a strange and tragic one. His ground-breaking work on sensory deprivation techniques in the 1950s helped him rise to prominence. His later work with LSD and inter-species communication with dolphins in the 60s and 70s largely discredited him in the scientific community (and perhaps with good reason). And so, rather quietly, Coincidence Control Publishing reissued Lilly’s full and unabridged report this year, bring it back to into print after twenty-five years. The scope of Lilly’s summation is quite vast, but the basic premise considers a general purpose computer as an analogue for the human mind, and extrapolates that like a computer the mind can be programmed in any manner desirable. The comparison is well-worn with readers today, yet at the time it would have been hard to grasp. The first personal computer had only recently been on display at the New York World’s Fair in 1964 when Lilly began his research. Computer programming was not on the list of college majors, nor was it something the general public was even vaguely aware of. Perhaps now, as much of the population carries a mini computer in their pockets with them every day, Lilly has a chance for a fairer reception. 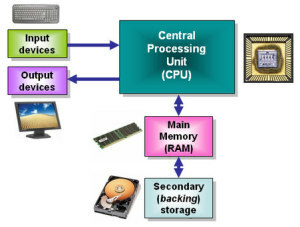 A general purpose computer has two main components, a central processing unit (CPU) and a bank of memory. The CPU carries out arithmetic and logic operations (programs) while a sequencing unit can change the order of operations in response to information stored in the memory (metaprograms). Lilly reasoned that the brain might function in a similar fashion and the human biocomputer was conceptualized as an ever-evolving unit, learning new programs, writing new code into itself, and developing into a complex network of signals and instructions. From birth the mind—or biocomputer—begins to develop under a unique set of programming inherent in a baby’s DNA. This is like the basic operating system you get out of the box. Over time the mind learns to delineate a tangible external reality from sensory inputs; it begins to program cues for behavior (such as crying when hungry or uncomfortable), and through experience and experimentation begins to conceptualize a paradigm of the world and one’s place within it. This development happens under the radar of conscious awareness. By the time consciousness, or self-awareness, develops the biocomputer has already been programming itself for many years. Next come the stages of self-programming and self-metaprogramming that continue for most of the life of a human being. From bottom to top: Level’s I-IV consist of biological and neurological signals, autonomous and automatic. Levels V-VII consist of programming done in the brain on a biological and unconscious level. Self-metaprograms (level VIII) represent the level of conscious program of the biocomputer. The top three levels leave room for the potential of supra-self and/or supra-species programs and metaprograms that come from an external programmer such as another person, a collective human consciousness, or a god or cosmic consciousness. Within this framework John C. Lilly would conduct a number of experimental trials in which sensory deprivation and lysergic acid diethylamide 25 serve as catalysts for allowing a subject to become aware of their internal programming—an awareness, he felt, not readily accessible through the standard state of consciousness. Lilly’s experiments were designed to help subjects locate and correct problems, or bugs, in their biocomputer. Often they were administered a dose of LSD25 and/or admitted into a sensory deprivation tank where the subject would remain in a meditative state for several minutes to several hours. Lilly felt that LSD and sensory deprivation might allow a person to analyze the very codes and instructions running through their own biocomputer, permitting them to deconstruct, interpret, and in time redirect mental programs. Subjects explored basic beliefs about reality, such as whether the body could function absent conscious control, whether one’s mind might be directly influenced by other people, and whether one could project themselves backwards and forwards through time. The goal of these experiments was not to verify or deny beliefs but to explore how the mind reacted to these ideas. By measuring a subject’s reaction to these premises Lilly felt he could decode the language and purpose of the programs acting therein. In one instance it was discovered that the subject was projecting outside influences into their mind, always claiming that someone else was in their head in order to “evade responsibility for their own actions.” In another instance one subject discovered that a ring of keys he always carried around was actually a metaprogram designed to prevent him from analyzing his inner self; the keys continually reinforced the idea that he was locked out of his own head. In a moment of insight, he saw that the defined boundaries (the doors, the walls, the ceilings, the floors, and the locks themselves and their keys) were a convenient metaprogram dividing up his knowledge and his control mechanisms into compartments in an artificial personal fashion. The metaprogramming that Lilly is talking about here relates to the structure of the mind, how it sees itself and how it perceives its own state of functioning. Once understood, it became possible for the subjects to alter these metaprograms to make them easier to navigate. In the example above the subject realized that in their mind they could turn any lock inside out, bringing forth all concealed information at will. to prevent the individual from tampering with sensitive information. By deconstructing these programs, subjects were able to solve puzzles programmed into their psychology. One subject, suffering from chronic migraines on the right side of their head, was able to uncover a suppressed memory in which they were physically beaten as a child on that side of their head. With proper coaching the subject was able to diffuse the physiological trigger of this memory and the migraines soon ceased. Lilly’s work raises many more questions than it answers. An entirely new school of psychology was proposed with the theory of mind and consciousness turned on its head (so to speak) and thrust to the forefront. Unfortunately the plea for further research was quickly snuffed out by the U.S. government’s war on drugs and a half-century-long dark age proceeded with respect to psychedelics. Today, the tides are changing. New research has shown LSD can fend off cluster headaches. Sensory deprivation tanks are now being used as an alternative, holistic approach to therapy. As we turn a page in our understanding of the mind our attention once again turns toward the great black hole that is consciousness. Perhaps now is the time for John C. Lilly’s research to get a second look, to see how one scientist dared to dive head-first into the abyss and to consider what this pioneer had to say about what he saw and what the abyss spoke to him.